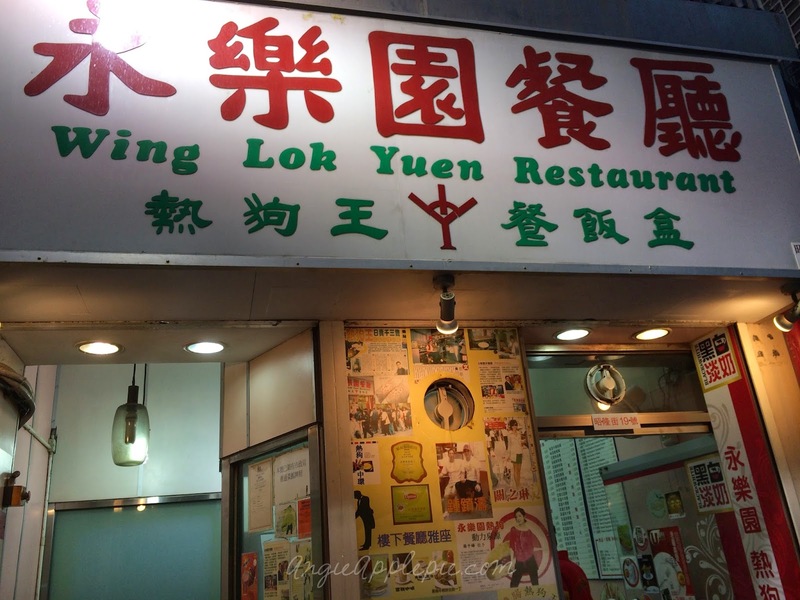 Here we have added on to our must-go list for Hong Kong, the Wing Lok Yuen Restaurant. 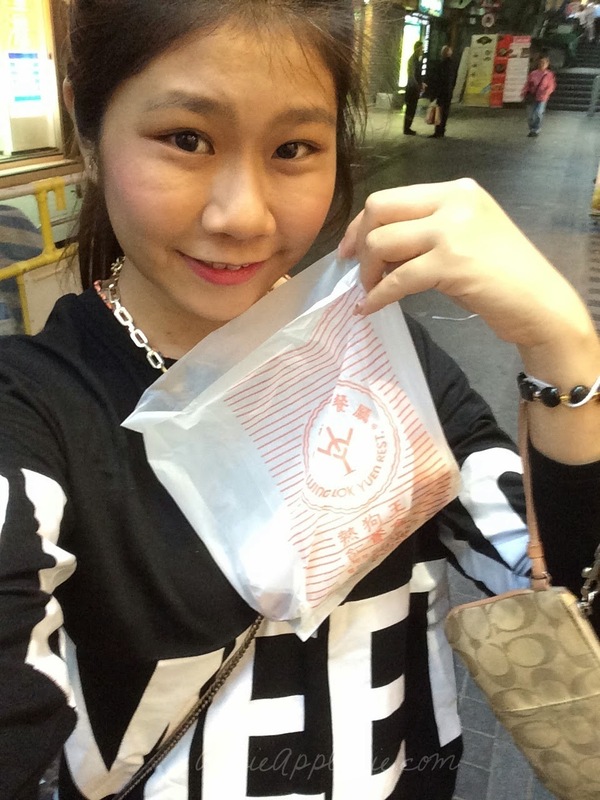 We kinda just walked past the place, while randomly moving around Central Hong Kong and suddenly Fenny shouted OMG THIS IS THE FAMOUS HOT DOG BUN PLACE. And so we went to get 2 to share among the three of us. I think this place isn't really much of a tourist place but it seems really popular among the locals. Everyone who went to the restaurant was very clear of what they want and just ordered. Yeah, the three blur blur like us was really lost at first. The restuarant has two sections to it, one being the eat-in area, which is in the basement and the takeaway counter which is further up and easily missed for first timer. 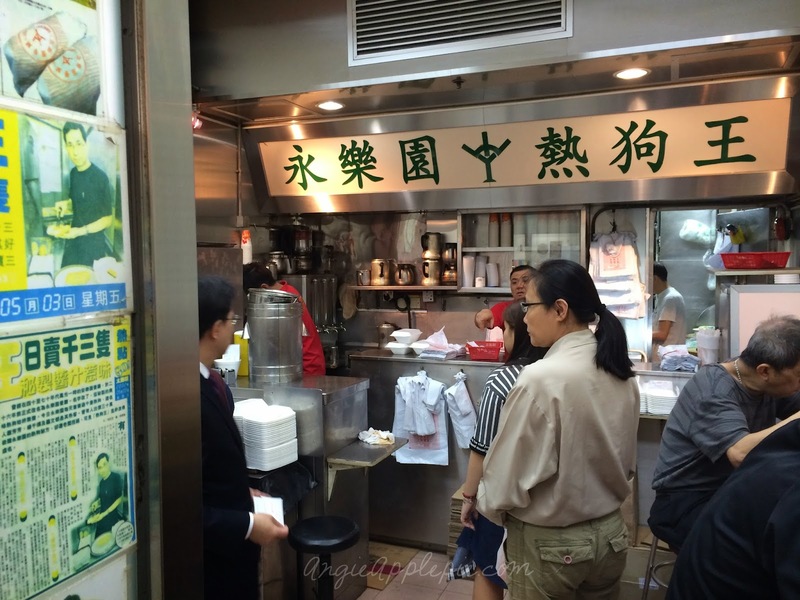 The shop staff was really nice (according to Hong Kong standards) to tell us where to dabao and what we needed to do to get our buns. So after you placed an order and made payment, the cashier would give you a receipt where you have to pass to the uncle at the bun making counter and another receipt for the drinks counter. 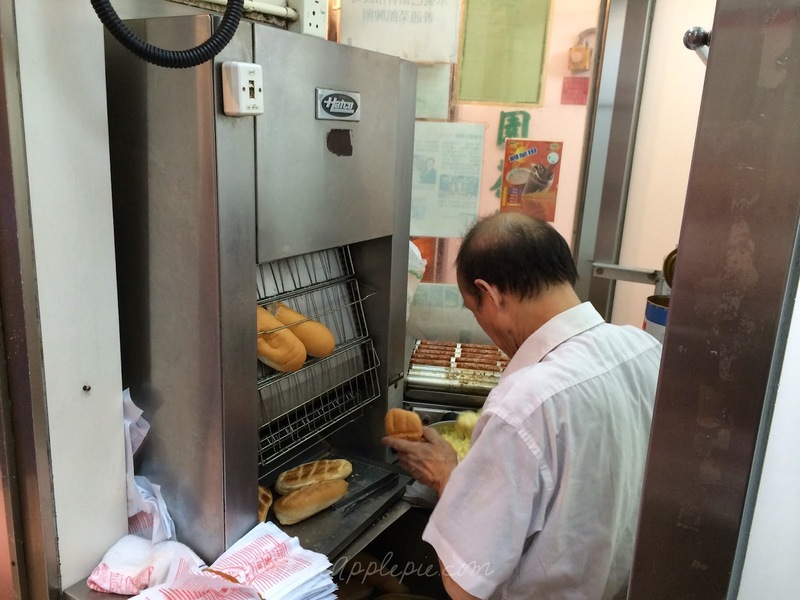 Then the uncle would prepare your bun-toasted with the machine that I have never seen before. He would cut the bun, put some butter and put the hot dog on top of it. And just like that ! 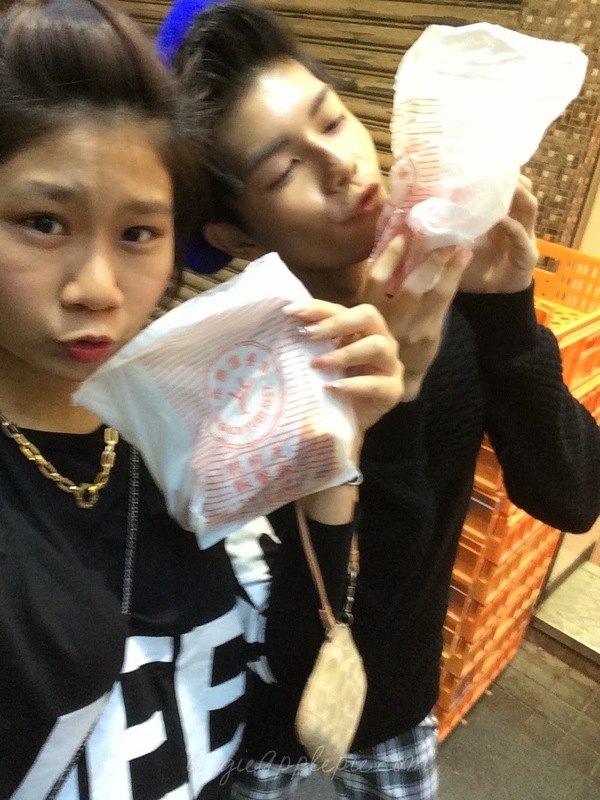 Junz & I's selfie with the hotdog bun. One hotdog bun costs HKD $10 or more, depending if it is a single hotdog or a double hotdog. The hotdog is really small but very juicy and taste really heavenly, so my recommendation would be to go for the double hotdog bun. SHIOKKKKKK. And the reason why I don't have a picture of the hotdog bun because..... I accidentally decided it off my phone..
& that calls for another trip to Hong Kong ? #smirk.